Below is a detailed description and comparison of the 10 best scuba diving wetsuits of 2018. For each wetsuit key features and benefits are outlined. At the end is a comparison chart. This is a high quality, good value, warm, comfortable and durable wetsuit featuring, flexible bonded thermal knee pads for abrasion resistance and an adjustable velcro collar for a comfortable, stretch fit for all users. Constructed from soft and comfortable premium 5mm neoprene material. Suitable for warm and cooler waters–design promotes core warmth and flexibility. This is a very popular, best selling model that comes in many configurations and thicknesses, with men’s and women’s versions made of flexible and durable nylon II high stretch neoprene. It has high quality materials, design and construction, but at a reasonable price. The Thermoprene has a contoured fit to keep water exchange to a minimum allowing an attractive optimal fit. The Bare Velocity wetsuit provides a great fit with comfort and mobility including features like zippered ankles, a velcro collar and knee pads. Different thicknesses and models for men and women are available. Easy to put on and take off, comfortable and quick drying the Bare Velocity Ultra is one of the most popular wetsuits. The Playa is a 2.5 mm shorty that is a great option for tropical dive vacations or when you need an extra layer to wear with another suit. With an anatomical fit and ultraspan neoprene seals on arms and legs it does a good job of keeping your core warm and comfortable. Glued and sewn seams for added strength and durability. This is a semi dry wetsuit that offers excellent insulation designed to keep you warm during cold water dives and is quite comfortable. Construction includes 8/7/6 mm compression resistent neoprene and a their own LavaSkin inner liner. The horizontal zipper is mounted in front for a good seal and easy on and off. double-glued seams for maximum protection against water intrusion. uses compression-resistant 8/7/6 mm neoprene and the exclusive “ThermaSkin” inner liner. Two large pockets for accessories. Comes in 9 different sizes. This wetsuit puts 3 mm neoprene and a thick, fleecy lining in the torso, tapering to 2 mm neoprene in the wrists and shins. The design allows natural comfortable movement that allows you to stretch with flexibility. Included in the design is a diagonal back zipper that goes from your left to right shoulder. This is superior to the usual zip that runs up the spine and makes the wetsuit much easier to put on and take off. The Everflex was designed with a great deal of attention to detail. This well made 3mm wetsuit is warm and comfortable. The aqua flex neoprene has 3 times the stretch of standard neoprene, confirms well to body shape and eliminates the need for ankle or wrist zippers. This design will keep you warmer, as zippers create more water exchange which leads to heat loss. it is ultra easy to put on and take off. The Alize is a relatively low cost comfortable warm water wetsuit. The design is cut and fabricated to conform naturally to the body with effective seals and little water flushing or movement. This model is very well made, warm and comfortable for a low priced wetsuit. It is rated highly for fit and range of motion with pre-curved elbows and a high-stretch panel on the lower back. Wrist and ankle zippers make donning and doffing easy and rubbery shoulder appliques help keep the BCD straps from moving around. For the environmentally conscious, Akona has developed a sort of “green” limestone based neoprene and a four-way stretch nylon weave suitable for the harsher elements of diving. Add to this a unique lamination process that has combined the two to produce one of the most comfortable and best fitting of wetsuits. The extremely flexible material, cut from a design to fit multiple divers and a smooth lining material makes this wetsuit easy to put on and take off. 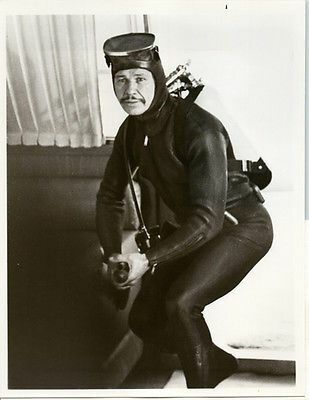 Charles Bronson did his diving too long ago to have the benefit of my post on wetsuits. This is an introduction to wetsuits. We have a little history and a description of how a wetsuit keeps you warm. What characteristics make for a good wetsuit? We’ll consider sizing, gender, temperature protection in relation to thickness, style, accessories, and pricing. At the end is a video that further describes how to select your wetsuit including construction and stitching. A wetsuit is an article of clothing, most often made of neoprene, which people involved in water sports wear to keep warm. We are primarily concerned with scuba divers here, but wetsuits are also used by windsurfers, surfers, canoeists and kayakers, among others, who want to keep warm while in and around water. In addition to warmth, wetsuits increase buoyancy and resistance to abrasions and stings. Warmth is created through thermal insulation, which depends on bubbles of gas enclosed in the neoprene that reduce its ability to conduct heat. The bubbles in the material make it low density which adds to positive buoyancy. The neoprene doesn’t form a waterproof seal and water gets inside the wetsuit forming a layer between the suit and the diver’s skin. An effective fit allows a minimum of flushing enabling the water to heat to body temperature and form a thermal layer between the diver’s skin and the suit. The modern wetsuit was invented by a University of California, Berkeley, physicist, Hugh Bradner in 1952. Since then materials and construction have continuously improved to maximize efficiency in this process. Size – To find a wetsuit that fits properly we are more concerned with the height than the width of the person. So if you are tall, but small through the chest and waist, it is your height that should guide the selection of a size at the taller end of the scale. Likewise if you are short, but bigger through the chest or waist you would likely fit better into a wetsuit toward the small end. Neoprene is pretty flexible and even if it feels like a pretty tight fit out of the water before getting wet, it will have a more flexible feel once submerged. It should feel like a second or outer layer of skin that doesn’t impinge on your ability to take a full breath of air. Gender – A lot of wetsuits are available in men’s and women’s versions that take into account basic structural differences in anatomy. If possible it is suggested to go with the gender specific version as there will be fewer potential pockets of loose space to increase water circulation and decrease thermal efficiency. And it will be more comfortable. Manufacturers often put wetsuits into categories based on thickness and temperature. These should be taken with a grain of salt. Wetsuits usually come in one of three different thicknesses: 3 mm, 5 mm or 7 mm. You may find them in 1 mm or 2 mm, but rest assured these are only for warmer water. Sometimes wetsuit thickness is described with two numbers such as 3/2 mm. In such a case the first number is for the torso material and the second for that of the arms and legs. Style – There are three basic styles of wetsuit: full, farmer John (Jane) and shorty. Full: A full wetsuit covers the whole body including the arms to the wrist and legs to the ankle. the ankle and is sleeveless. The second piece is a jacket that covers the arms and goes to mid-thigh. the body that is covered the more protection there will be for cuts, scrapes and stings. The Farmer John gives more thermal protection to the torso when the jacket is used, than a standard full wetsuit and a little more flexibility in shoulder movement. Hoods can be very helpful in keeping warm, but not essential in warmer water. Many divers prefer not to use a hood if it isn’t necessary due to the constricted feeling around the head and the possible interference with the placement of the mask. A hood can make a big difference, though, particularly toward the end of a dive. Booties: The standard booties are usually suitable to wear with your wetsuit. Undergarments aren’t generally considered necessary. There are rash guards and thermal undergarments available from several companies. These are lightweight and provide an extra layer of thermal protection. Price: Wetsuit pricing is based on the thickness, sewing and construction techniques and other features. The range is from under $100 to around $500. This is considerably less than the price of a drysuit. The most important things to consider in your selection of a wetsuit should be comfort and warmth. In addition, how well does it fit? Is it easy to put on and take off? Does it seal well around the wrists, ankles and neck?